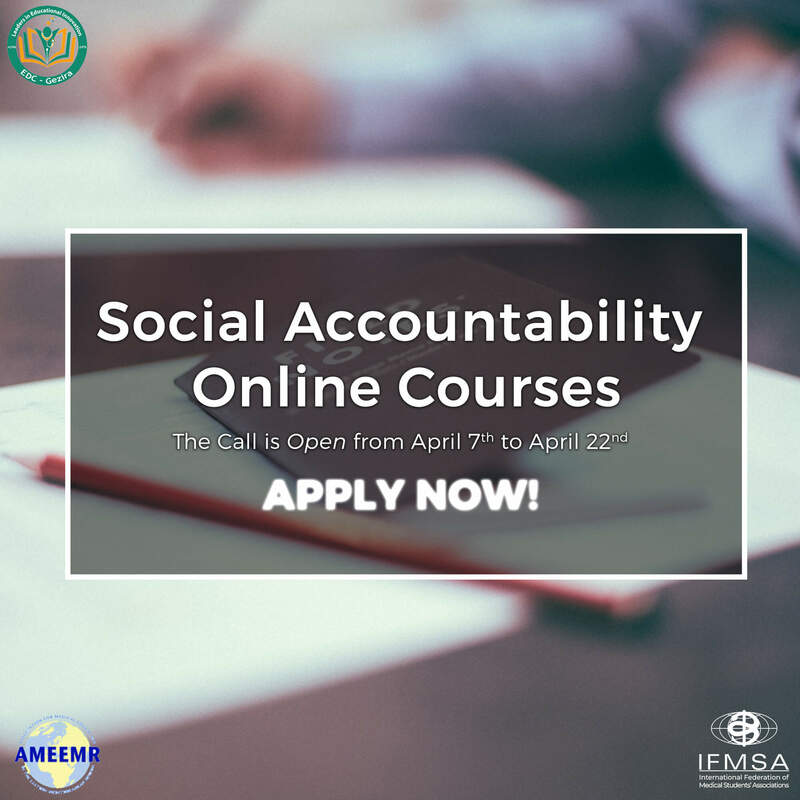 Information summary: In a first of its kind collaboration, IFMSA will be working with AMEEMR and GOSA to deliver an Online Social Accountability Course aiming to empower participants to actively participate and be engaged in the processes of transformation towards social accountability. The course will take place between May and July. Up to 20 participants will be selected. Apply by filling in the application form below. It is with great pleasure that we open the call for the first Online Social Accountability Course held in collaboration with AMEEMR (Association for Medical Education in the Eastern Mediterranean), the regional partner of the WFME in the EMR and GOSA (Group on Social Accountability) which is one of the task forces created in AMEEMR to to promote adoption of social accountability by medical and health professions schools and accreditation bodies in EMRO-Region. The platform for the online course will be provided by the Education Development Center (EDC) of the University of Gezira in Sudan. – the right motivation and enthusiasm! Should you have any questions, kindly do not hesitate to contact us at [email protected] and [email protected].